Two alcoholic drinks a day over a long period gave heart attack survivors a 42% lower risk of dying from heart disease than non-drinkers, researchers found. Researchers in the US monitored the progress of 1,818 men for up to 20 years after they had survived a first heart attack between 1986 and 2006. 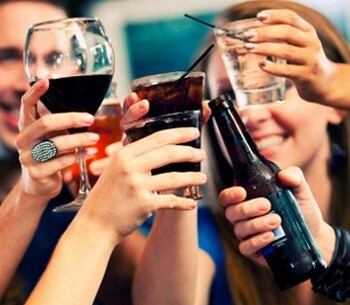 Those who consumed between 10 and 29.9 grams of alcohol a day – the equivalent of two 125 millilitre glasses of wine, two bottles or cans of beer, or a shot of spirits – were classified as “moderate” drinkers. The men were among participants in the US Health Professionals Follow-Up Study, a major health and lifestyle investigation. Every four years they were asked questions about their diet and alcohol intake.